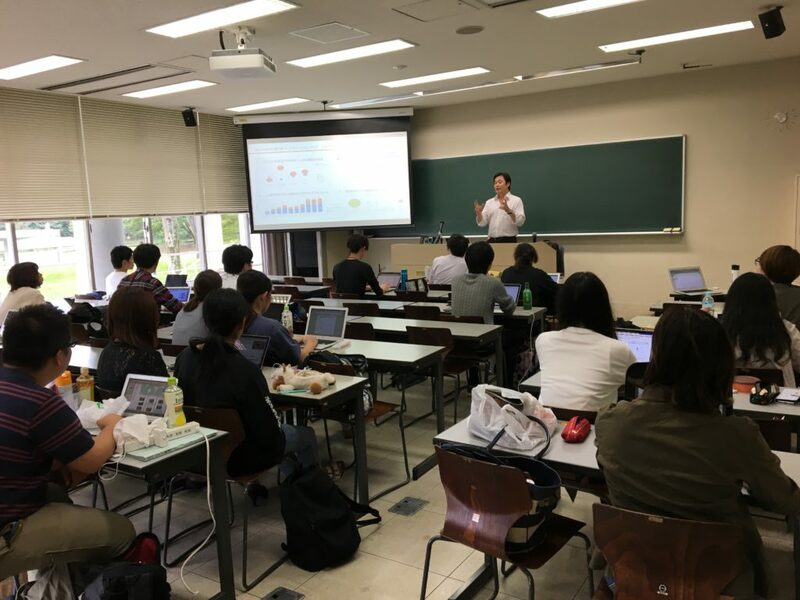 On October 2nd, the collaboration class on ‘disaster and innovation’ kicked-off at Keio University Shonan Fujisawa Campus (SFC). Takeshi Komino, the Secretary-General of ADRRN Tokyo Innovation Hub (ATIH), gave a lecture on an innovation case in Nepal. The class is titled “Environmental Risk Science”. It aims to improve analytical skill and solution thinking of the students through lecture and discussion about specific issues in the Asia-pacific region. ATIH provides specific issues and projects that ADRRN members and other NGOs are undertaking. In the first class, ATIH explained 1) humanitarian issues in a disaster situation in Asia-pacific region, and 2) the case in Nepal: training masons in building earthquake safe house. In the case study, key success factors such as close communication with the local community and integration of local technology and scientific technology were shared and discussed. The students listened to the lecture seriously and asked many questions such as “ the most important element of DRR (disaster risk reduction) education in the Asia-pacific region” and “challenges of disaster rehabilitation in the Asia Pacific region”. Professor Rajib Shaw explained the factors to be considered in a post-disaster situation by sharing the case of temporary housing in Malaysia. Through this class, ATIH wishes to contribute to cultivating human resources that tackle the issues in humanitarian sector in the future, and develop case study materials of innovation projects by reflecting feedbacks from students.